Feeling a little sluggish lately? While habits are hard to break, changing up your regular routine could actually boost your health dramatically. We understand, there is nothing as satisfying as turning off that alarm for 5 more minutes. While hitting the snooze button multiple times can be all too tempting, it can actually be ruining your sleeping schedule. Your body needs time to wake up. If you are constantly hitting snooze and falling back asleep, your body does not recognize that it needs to get up. Waking up and falling asleep repetitively confuses your body and your brain, and can make you feel even more tired and hazy. Your sleep cycle is precious. Therefore, it is important to have a consistent schedule. If you set your alarm with the intention of hitting the snooze button, you may actually be setting yourself back to begin the day. Skipping meals negatively affects not only your body but your mind as well. If you’ve hit the snooze button one too many times and are rushing out the door, it is easy to skip out on breakfast. After a full night’s sleep, your body and brain need fuel. Going long periods of time without eating- especially in the morning- can not only make you feel weary but can also diminish some of your sharp thinking. Skipping meals slows down your metabolism, and your body will begin to store more fat. Also, when you avoid eating, your body goes into survival mode, making it much more tempting to binge eat. After a full day of work and running errands, switching out your sheets is the last thing on your list. While this task doesn’t seem to be important and can often get pushed back, sleeping in dirty sheets is more harmful than you may realize. If you are one to let your sheets go too long without washing, you might want to consider the side effects. The fibers in your pillowcases and sheets will pick up things like bacteria and fungi- causing infections and rashes on the skin. These could be enhanced through makeup residue as well. Got the night sweats? Your sheets will lock that moisture in, creating the perfect environment for those germs to grow. As we kick off 2019, now is the best time to start working towards breaking these habits. It’s important to be mindful of your everyday routine. As harmless as some habits can seem, diving deeper into the side effects can alter the state of your health in a positive way. 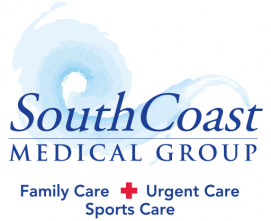 If you aren’t feeling 100%, and you haven’t visited us in a while, we encourage you to stop into South Coast Medical Group. Aliso Viejo’s first Family Practice and Urgent Care, we are open seven days a week to discuss your health concerns.